- A CURATORIAL PROJECT PRESENTED BY OuUnPo. 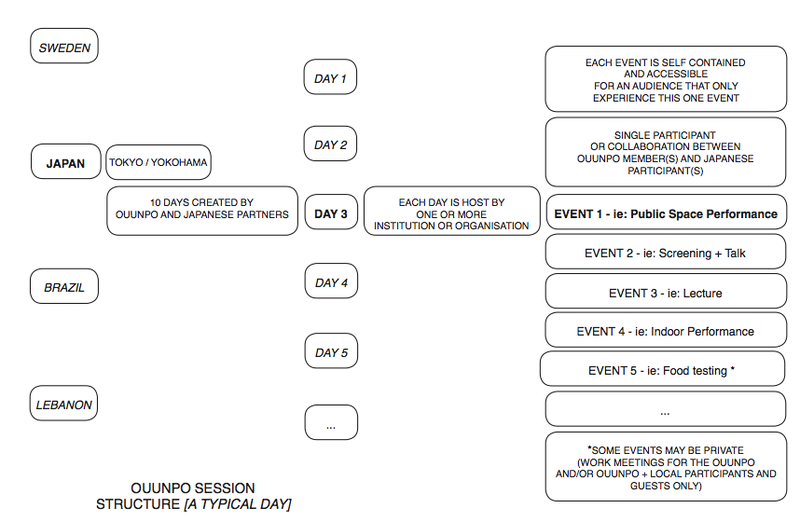 - AN EIGHT-DAY SESSION IN BRAZIL IN 2014 INCORPORATING EVENTS IN COLLABORATION BETWEEN OuUnPo AND BRAZILIAN CREATORS . - Organised by Vision Forum and Global Art and the Museum (at ZKM). The event is coordinated by Sara Giannini and Yane Calovski with Per Hüttner. 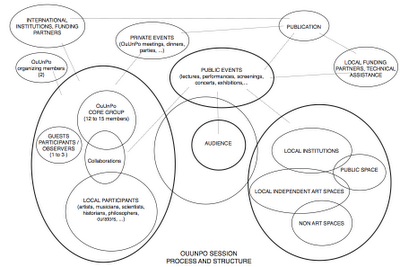 OuUnPo is a pan-European research network that is made up of artists, curators and researchers. It operates like an itinerant laboratory that co-creates and shares knowledge through artistic production. Each session focuses on a given topic in different cities around the world. Since 2009 OuUnPo has worked on "Orality" (Athens, Greece), "Urgency and Leisure" (Belgrade, Serbia), "Neuro-imaging and Creativity" (Nijmegen, Netherlands), "God and Multiverse" (Rome/Skopje/Paris) to name a few. OuUnPo collaborates both with well-established institutions, alternative venues and informal groups. Trans-disciplinarity is of a key importance for the group and a session mixes events as diverse as performances, film screenings, happenings, music events, lectures, discussions, scientific talks and hybrid forms of these. 2. How we interact with the Participants. The OuUnPo sessions functions as a bridge to reconnect both art and research with the everyday lives of their respective audiences. 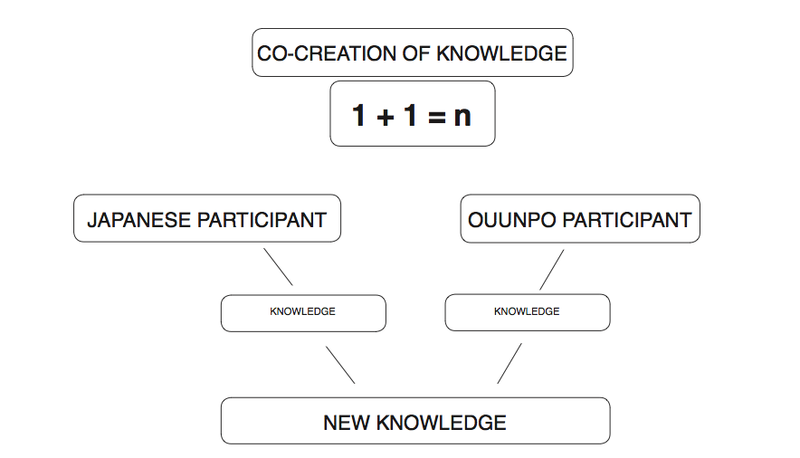 Each session creates a platform for the co-creation of knowledge between local artists, curators, scientists and institutions and the OuUnPo network. This is facilitated through the meeting between the unique situation and experiences in Brazil and the global perspective that is hosted by the diverse background of the creators who make up OuUnPo - members of the network come from a dozen different European countries and many different disciplines. This allows the partners on both sides to get a deeper understanding of how life is changing in the present and particularly how globalisation affects our everyday existence. The eight-day session in Brazil is arranged so that it offers both new perspectives to existing problems and through that creative insights for the future. Each session offers joyful fun and inspiring events that deal with serious matters with the explicit goal to ensure diversity and inspire multiplicity. As OuUnPo expands outside of Europe, we have decided to look at how heritage and catastrophe are linked together in different contexts. 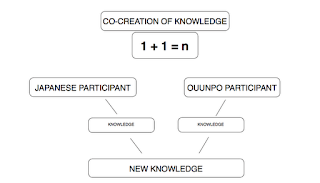 We want to acquire a wider and deeper knowledge how the two interact. It is in situations of crises that heritage is both created and destroyed. The session will offer insights and research into the specific situation in Brazil today and the challenges that lie ahead for all of us globally. OuUnPo wants together with its local partners get a deeper understanding of how the situation in Sao Paulo and Minas Gerais and see how creativity has been unleashed from this experience. A series of preparatory trips will be carried out in 2012-14 to better understand what can be learned from the session. 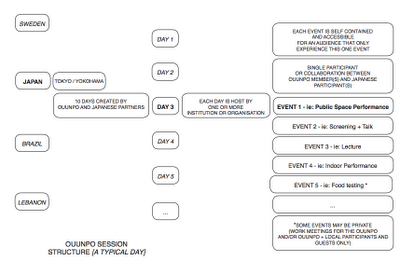 The events in Brazil forms a part of a larger project with OuUnPo sessions in Lebanon, Sweden and Japan. We see great opportunity to draw similarities and differences with how people in deal with their situation in these countries and particularly how a situation of crises can be used for the development of new ideas and solutions. The Brazilian session is the last in the cycle and it is therefore important that there is are large Japanese and Lebanese community in Sao Paulo to help summarize the four research trips. The OuUnPo sessions are built on collaborations between local creators and visitors by finding formal, conceptual and human bridges between the two. Each of the ten days is broken down into a series of longer and shorter events. Each event is free-standing and self-contained so that a visitor can choose to attend an event, a day or the whole session. Each day forms a chapter that deals with a specific geographical, architectural or institutional setting in the Japanese urban landscape. The group also offers alternative outlooks on existing exhibitions, collections and architecture by creating special performances, guided tours and other interfaces that comments on the context. These enrich both the understanding for the creators, institutions and audiences. As the amorphous group moves through the city new and expected links are created that often lead to improvised and impromptu events. 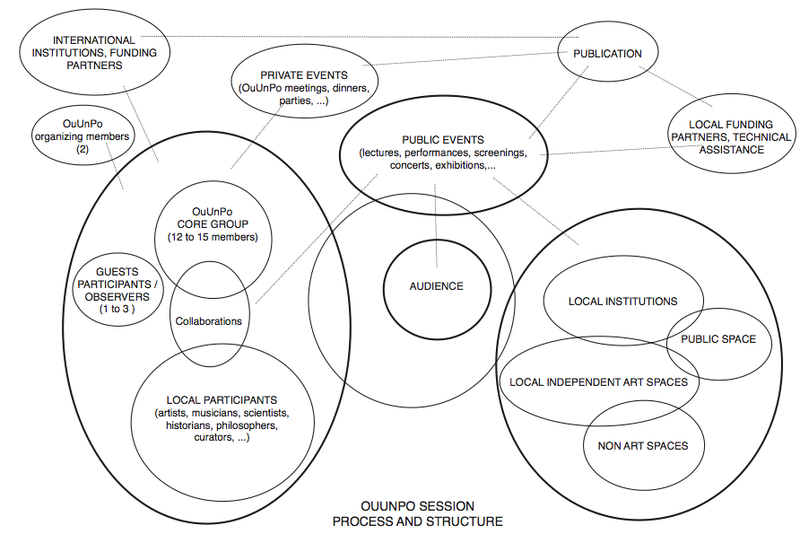 OuUnPo bases its activities on a different outlook on communication where the creation of knowledge happens between the participants and between participant and artwork. The exchange is therefore going both ways and fundamentally based on dialogues around a given problematic. We encourage each visitor to experience the events and sessions differently and to draw from their unique experiences, qualities and knowledge. This means that individuality and difference becomes an asset, something that is essential in maximizing the value of intercultural exchange. This is also one of many reasons why the OuUnPo sessions are loved by our audiences – they are open for reflection and creation on the part of the participants and audiences alike. The events are participatory on every level, in other words staged so that the boundaries between creator and audience are blurred. We often invite the audience to be a part and actively participate in both discussions and performances. The session in Japan forms a part of a larger project where OuUnPo investigates similar topics and problems in Lebanon (December 2012,) Japan (June 2013) and Sweden (September 2013). The project is initiated in collaboration with Global Art and the Museum at ZKM in Karlsruhe and Linköpings universitet in Sweden. Academic Evaluative sessions will also take place in both universities. A concise publication that documents the four sessions will be designed by the design group Åbäke and published in 2014.